A few years ago, Evernote tried to branch out into selling physical objects—desk tidies, messenger bags, wallets, and the like—that would keep you organized in real life, too. But it’s shutting the store down on Wednesday. 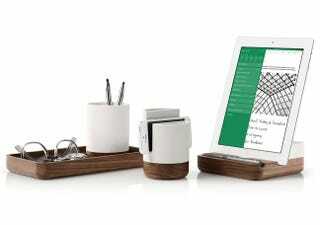 It alway seemed unlikely that Evernote would become a prolific lifestyle brand. While it claims to have sold 800,000 Evernote Moleskine notebooks—which will continue being sold by Moleskine, actually, as will a handful of other partnered products—the high prices and app-related image always sat a little uncomfortably together. $242 for an Evernote backpack? $120 for some desk tidies? At those prices, there are plenty of other great brands to choose from. And, it seems, people did. The Evernote Market will shut down on February 3rd, though the store already looks to be largely devoid of stock. Presumably Evernote has been winding it down for a little while. The news isn’t the first of Evernote’s woes. Last September it laid off 13 percent of its staff, and in December it stopped supporting some of the more niche features it offered. VentureBeat has also pointed out that the company has a bigger problem to face up to: it’s spread itself too thin, so users take advantage of different facets of its offering as opposed to a single core feature. In turn, that keeps development costs much higher than they ought be. “Ultimately though, Evernote is a software company,” wrote John Hoye, Evernote’s senior director of partnerships and accessory products, in a blog post announcing the news “Building and perfecting the Evernote experience is where we’ll be focusing our future efforts.” Things looks set to change at Evernote—and not just the desk tidies.